SIMA RAMA is an online impact cinema platform that streams 1 award-winning documentary every month with panel discussions, bonus features and ways to take action. 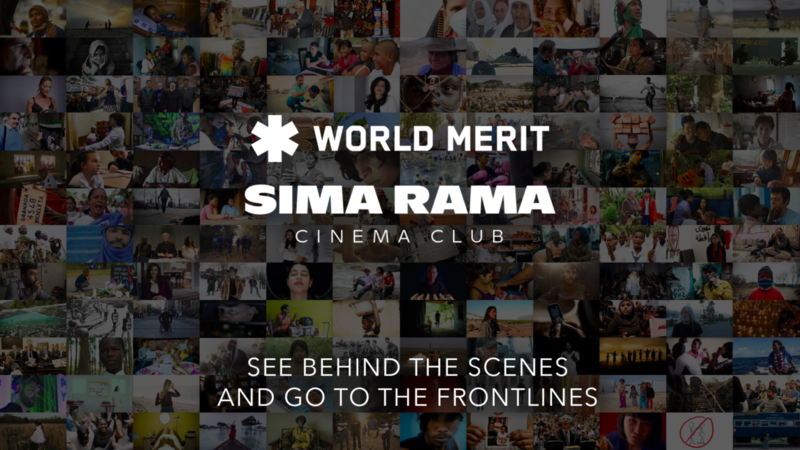 By joining the SIMA RAMA Challenge, World Merit members show their commitment to learning about the SDGs and global issues through the stories of those immediately affected. The 12 SIMA RAMA films will take you behind the scenes of today’s global challenges. The Winner will travel to 1 of the countries featured and see it with his/her own eyes. Receive an adventure travel package to a global destination. Receive a lifetime of FREE access to SIMA RAMA – the online film streaming platform for changemakers. On December 15th 2019 you will receive an online QUIZ about the films and discussions. Answer the questions and submit before December 31st. Winners will be announced by January 15th 2020. On the 1st day of every month a new film will go live on the SIMA RAMA Platform. It will be available for that month only (4 weeks) during which time you can watch it. In the second week of each month, the panel discussion with filmmakers and experts will be live for you to watch as well. NOTE: The panel discussions can be watched year-round. The films can only be viewed during their designated month. Every month you’ll see a new ACTION KIT on the SIMA RAMA Film Page with a link to share on social media. On December 15th 2019 you will receive a Google Form QUIZ with questions about the 12 films and discussions.